How do you guarantee success? Here is what works! POINT #1: Anything will work great as long as you do great work. 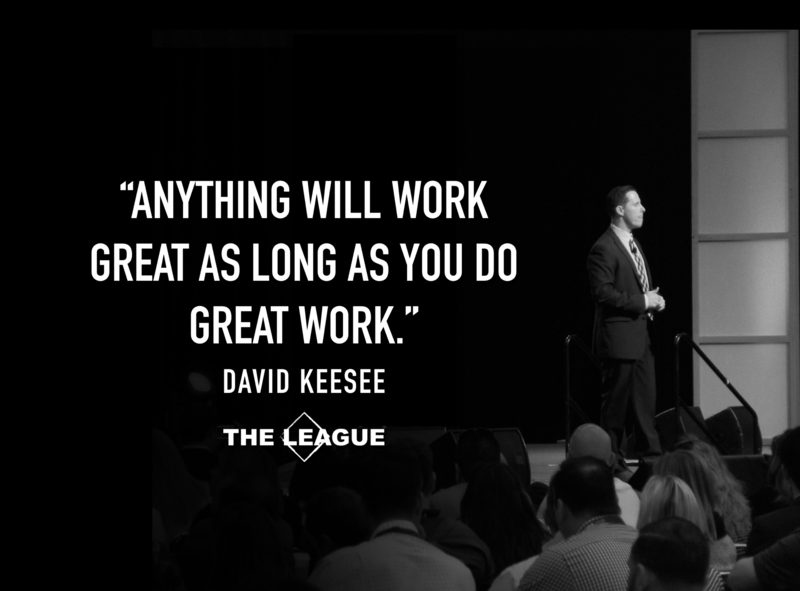 POINT #2: There are 3 ways to put out great work. Build your skills, love what you do and have good intentions. Commit everyday to doing great work by building your skills, leveraging your talent, finding a way to love what you do and having good intention. "Anything will work great as long as you do great work." It's Not Always About Working Harder. POINT #1: Working harder is not always the answer. POINT #2: I'd rather you work at a level "10" for 3 hours a day instead of working at a level "4" 8 hours a day. Start getting things done more efficiently by compressing the time that you work. "It is not about how hard you work. It's about results." 2 Choices You Face Everyday! POINT #1: You have 2 choices everyday...The easy way or the way that will grow you. POINT #2: Most people choose the easy way which is why they don't grow into who they need to become to reach their goals. 1. 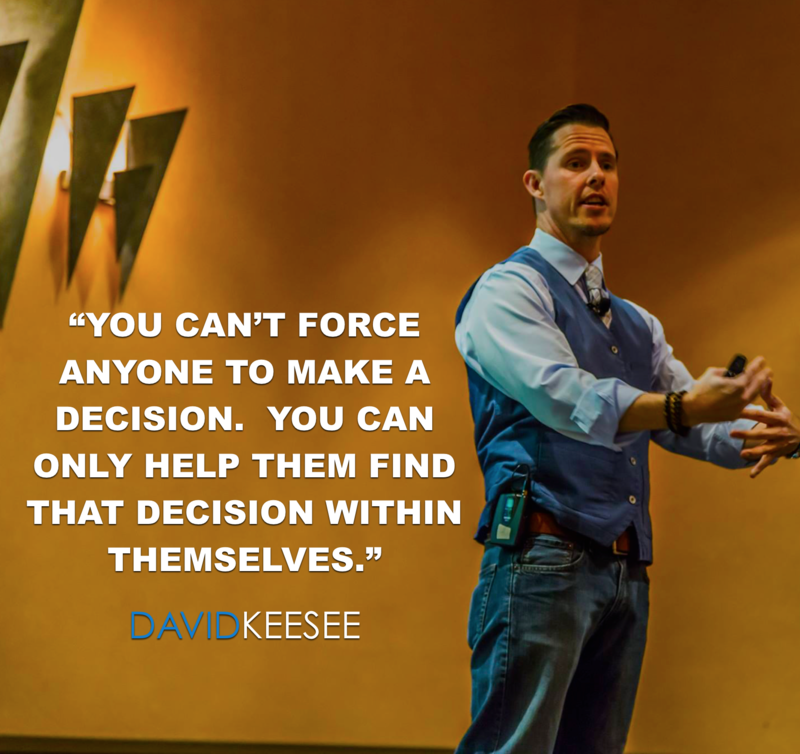 Where in your business or life are you choosing the easy way instead of the way that would grow you into who you are committed to becoming? "If success were easy, everyone would have it." POINT #1: If you would just address the small things that are in the way, you would accelerate your results. POINT #2: A small breech of integrity leads to massive repair or even replacement later. 1. Where is your life are you just trying to cover up, play off and hope nobody notices? 2. What kind of results would you get if you took those things head on? "Don't try to put a bandaid on situations that require surgery." POINT #1: Philosophy- Do you look at things from an empowering standpoint? Or do you look at things in a way that makes you feel like a victim? POINT #2: Strategy- Is your strategy that you are using "relevant" to the results you are trying to get? POINT #3: Skills- Do you have the right skills that are effectively bringing you the results you seek? 1. Is it possible that my philosophy in certain parts of my life is holding me back from being effective and powerful? 2. Are there parts of my strategy that need be updated and revised to get better results? 3. What skills do you need to develop or hone to grow to a higher level? "Consider that life is not happening to you. 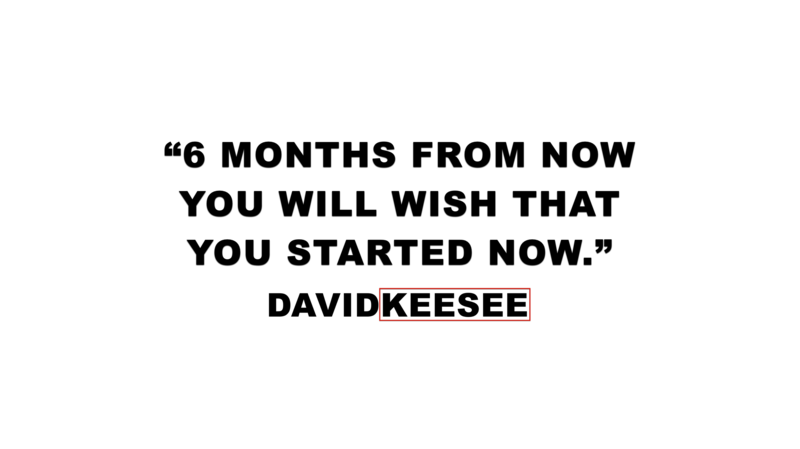 It is happening for you." Why is it So Hard to Wake Up Early & Crush It?! Why is it so Hard to Wake Up Early & Crush it? POINT #1: Discipline is demonstrated in moments of decision more than anything else. POINT #2: Waking up early and having a strong morning routine is about setting up your environment to support you in doing it. 1. How can you set up your morning routine in a way that makes you most likely to stay consistent with it? "You will be disciplined to the degree that you have consciously set up your life to ALLOW you to be disciplined." If you're stuck and you can't get to the next level in your business, there's a very good chance it comes down to your communication. A lot of times, in your life, in your business, your language shapes and reveals your life. It also shapes and reveals your business. Start to communicate with people more real, more raw, more not hiding anything, no agenda, telling them your intentions. So that people know how to support you. Everybody has ideas. your ideas are very rarely unique. Your goals and dreams are very rarely unique. Other people have ambitions too, other people have dreams too. People appreciate real, raw, transparent and just even a little bit of a vulnerability. When you can do that, when you can be fearless in your communication, it is amazing how much more powerful you become. Start to communicate at a higher level and you will watch your business transform before your very eyes. Why do you quit when it gets hard? You're not taking into consideration, that what you want, everybody wants. Going through the struggle is what makes you. Let me ask you something. Why do you quit when it gets hard? Why do you quit? You make this commitment, you're like "yeah, I said I'm gonna do whatever it takes" and you even gain momentum sometimes. Sometimes you're starting to gain momentum and you quit. I don't get why you would do that I guess I do. I guess I do. They call it break-through for a reason. If there were an easier way, it would be called break-around. But it's not...Go find a way! We can be all that much better. Do you know somebody who has a lot of talent but doesn't do anything with it? This ability to influence will make that happen. What is possible for you is endless. 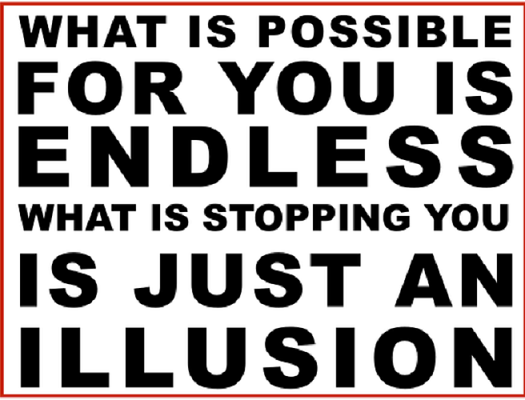 What is stopping you is just an illusion. don't like to do it that way, I want to do it a comfortable way. Do you have anything in your life that you want to accomplish and then there you find out the steps that have to happen and you're like, oh! I wonder if there's an easier way to do that. I wonder if I can do it another way. Sales people make the world go round. If we remove sales people, tomorrow the economy stops. But the number one thing that holds sales people back is they just don't ask for the sale enough. You got to get out there and you got to ask. Consider that your client doesn't get any value from you, unless you get them to take action. Your client doesn't have any value unless you get them to get your product and get the benefits from that. Otherwise, you're wasting their time. You're just wasting their time and that's worse than wasting their money.